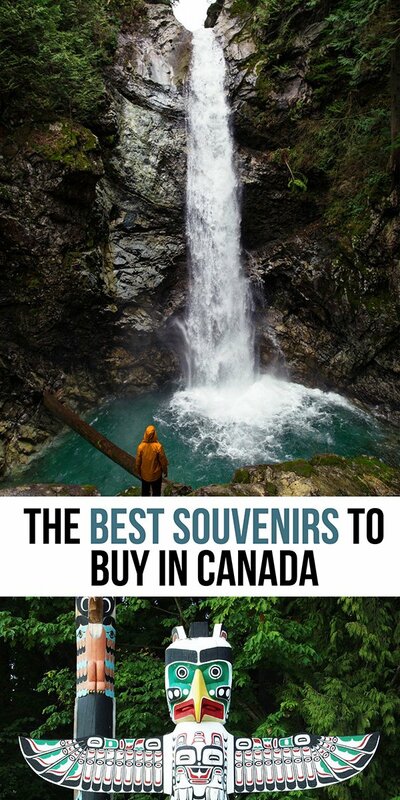 If you are looking for the best souvenirs from Canada or what to buy in Canada, you have come to the right place! One of my favorite things to do when traveling is to look for souvenirs to take home for family and friends and something for my bookshelf! 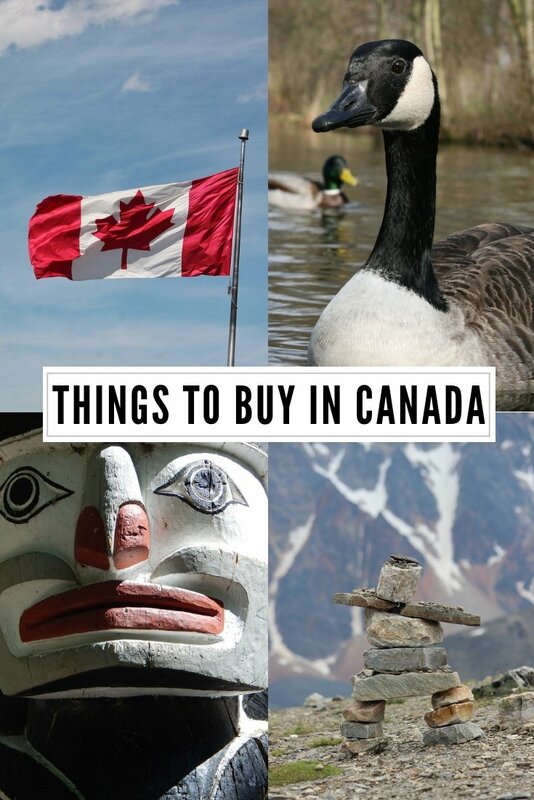 My kids love hunting for the best souvenir for their collections and that made me put together this list of the best Canadian souvenirs. 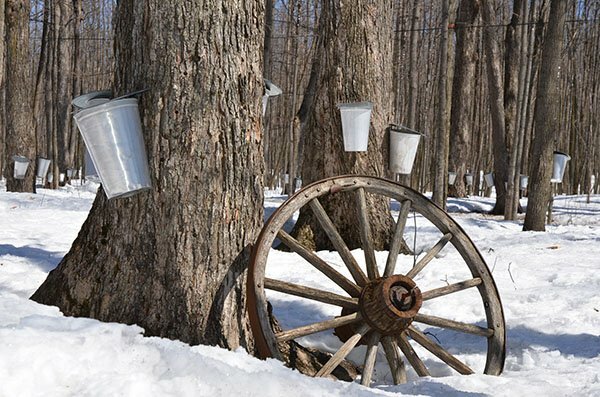 Probably what most people think of as one of the things that represent Canada is maple syrup. Available in gift shops across the country, as well as in airports and grocery stores, grab some to take home as it is one of the best presents from Canada. If you want the best bag for your buck, grab a bottle from Costco! Beer may not be one of the uniquely Canadian things to buy, but Molson is well known around the world as a great Canadian beer and for its tagline “I Am Canadian” from years gone by. If you happen to collect beer bottles or want a t-shirt from Canada, make it a Molson one! Spirit drinkers will love a bottle of Crown Royal or Canadian Club as one of the top things to get in Canada to take back home. You can get it at the duty free land crossings or airports before you leave or at any liquor store in the country. We do not sell spirits in grocery stores (very few grocery stores even sell wine) so make sure you find a liquor store or any bar or restaurant if you want to enjoy it while you are in Canada! The Hudson’s Bay Company, HBC or “the Bay” is a retail department store who’s history lies in the fur trade and has been around since the 1600s. Currently it is the outfitter for the Canadian Olympic Team and features Canadian gear. Its iconic coloured striped blankets and clothing are also popular Canadian souvenirs ideas. If you cant fit it in your suitcase, grab one online here. Canada may be a tony country in terms of population, but its population love of sports, especially hockey runs deep. Canadians love to get behind their favourite sports teams and athletes and wearing a hockey jersey is a typically Canadian outfit. It makes a great souvenir from Canada to bring home whether for yourself or someone else. You can chose a local NHL team like the Toronto Maple Leafs, Montreal Canadians, Calgary Flames or Vancouver Canucks or a Canada hockey jersey representing junior and olympic athletes. If you happen to have Calgary on your itinerary, check out these things to do in Alberta. Just do not mention that you might not be a Flames fan! Calgarians love their hockey! 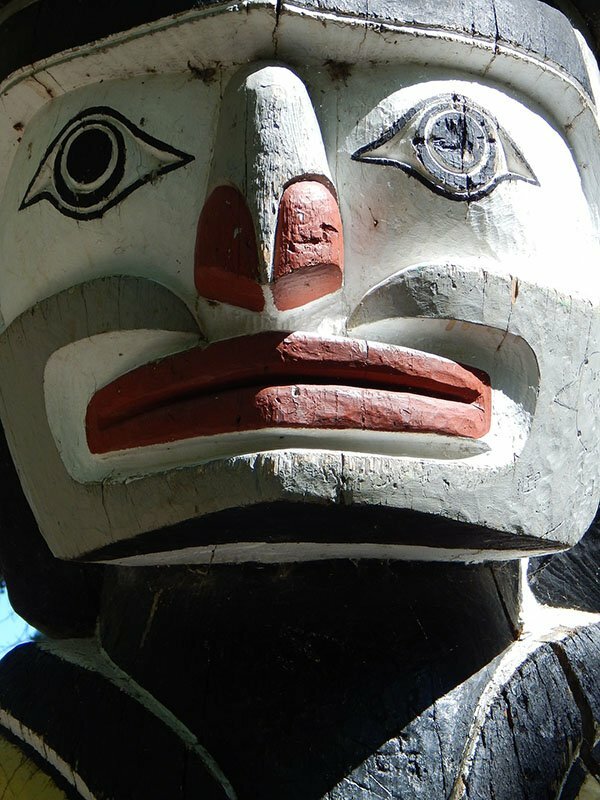 Aboriginal peoples have always made objects of artistic value. If you want to know what to buy in Canada to display in your home or to give as a gift, purchase some authentic aboriginal art. If your trip takes you to the Canadian Rockies (and it should), check out this Canadian Rockies Itinerary. Roots clothing is known for its craftsmanship and functionality. I live in there sweatpants when I am at home and there is nothing more comfy in my wardrobe. If you are shopping for the best souvenirs from Canada that you can wear for years to come, grab yourself a pair of Roots sweatpants or a sweatshirt or bring one home for someone who loves comfort. Coffee and Tim Hortons are synonyms in Canada. Asking someone if they want a “Timmys” is the same as asking if they want a coffee. If you want to know what to buy in Canada and have a thing for coffee, skip the Starbucks cups and get yourself a Tim Horton’s Travel Mug from any Tim Horton’s store. You can even buy some of their coffees and they come inK cups too! 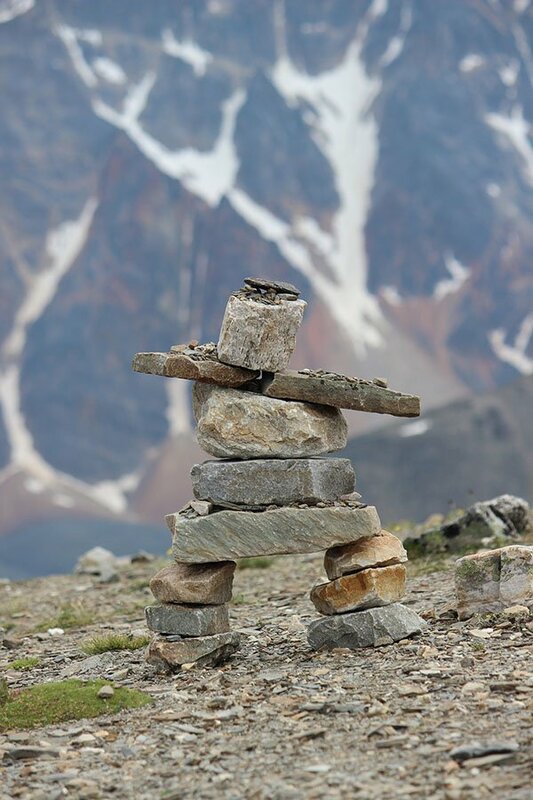 An Inukshuk is a figure made of mild stones or boulders used as a form of communication throughout Canada’s Arctic. They were traditionally constructed by the Inuit and have become intertwined with representations of Canada. In the Arctic, they are used for practical reasons, such as navigational aids, coordination points and message centers. They have also been known to be used for spiritual means. There are some things you can only buy in Canada that you should consider taking home from your trip. These include, Ketchup chips, Smoked Salmon from a local smoker, Smarties, Nanaimo Bars, Coffee Crisp, Purdy’s Chocolates and Laura Secord Chocolates. While you are visiting, be sure to enjoy some of the national dishes of Canada such as poutine, freshly caught salmon or smoked salmon, and Saskatoon Berry Pie! There are so many things to buy in Canada when you are visiting. This list covers many of the top Canadian souvenirs to buy on your visit and many of them make great gifts! If you will be spending some time in Vancouver, I have another post on what to buy in Vancouver for souvenirs. Do you have any questions about visiting Canada? Let me know in the comments! Want to read more about Canadian culture? Check out this post on Only in Canada! Like what you read? 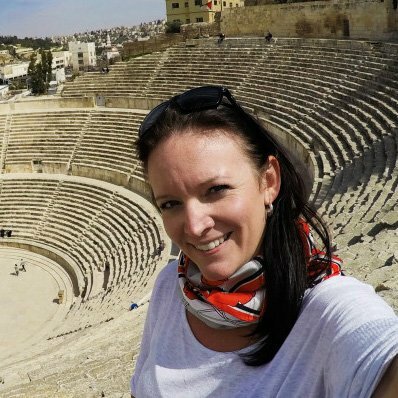 Check out my series of “What to Buy” souvenir posts on: Greece, Turkey, and Egypt and more! Make sure that before you hop on your flight, you should already have your ETA for Canada. I see countless travelers panicking at the boarding gate of planes who do not have this! Do not be one of them! 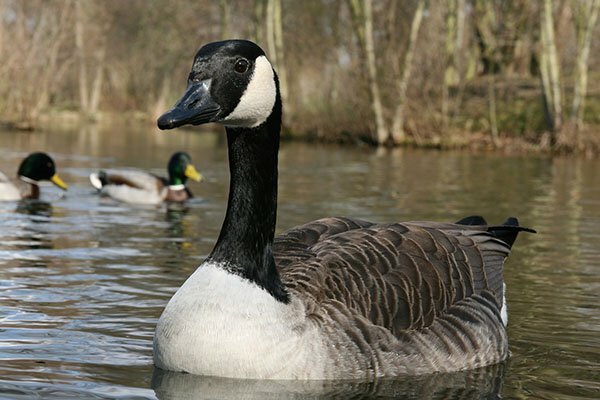 Have you been to Canada? Did you bring something home? What was it? Let me know in the comments! Tim Hortons — no no no no no. Great list otherwise.